This another instalment in a blog in a series about “ideal candidates”. An Assistant Store Manager position calls for people that display this trait more prominently than most people. The ideal candidate is content working in a group setting, and often seeks out a leadership role. Assistant Store Managers should display this trait differently than most people. The ideal candidate usually develops a thorough plan before beginning a task. This position calls for people that display this trait more prominently than most people. 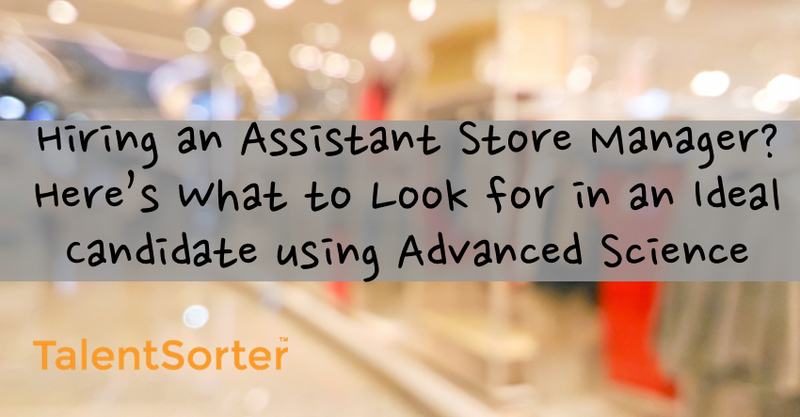 The ideal Assistant Store Manager candidate is usually objective in their decision making and actions, even in trying circumstances. Assistant Store Manager positions call for people that display this trait more prominently than most people. The ideal candidate usually embraces the opportunity to try new ways of doing things. This position calls for people that display this trait differently than most people. The ideal Assistant Store candidate always follows through on their commitments to others to the extent they are in control of a situation. Decisiveness: Reflects how confident someone is in accepting the risk of making a decision in a timely fashion using what information is available at the time. Assistant Store Manager positions call for people that display this trait more prominently than most people. The ideal candidate is typically not afraid to take risks and make quick decisions when they have adequate information. This position calls for people that display this trait differently than most people. The ideal Assistant Store Manader candidate prefers to base their decisions on factual information rather than intuition. This position calls for people that display this trait more prominently than most people. The ideal candidate is highly skilled at building a network of supportive contacts.